If you know me personally, you know I’m a TV junkie… and I love it all! From comedy, to drama, and even the shows made for kids… if it has even a little bit of a story line, I’m all in! As we are fighting daily to break down the negative stigmas that surround blended families- specifically stepparents– I am always thrilled to see a TV show that captures the realness and normalcy of blended family life. 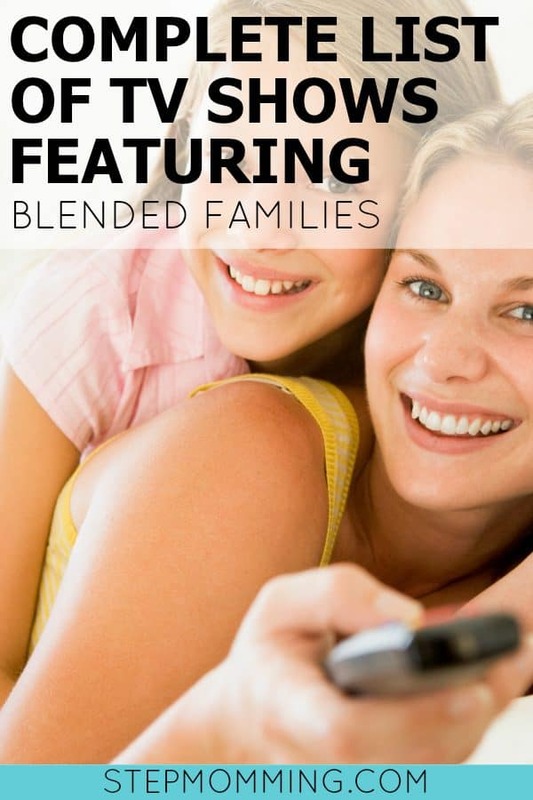 In addition to what we consider a blended family, there are so many types of nontraditional families in our society. 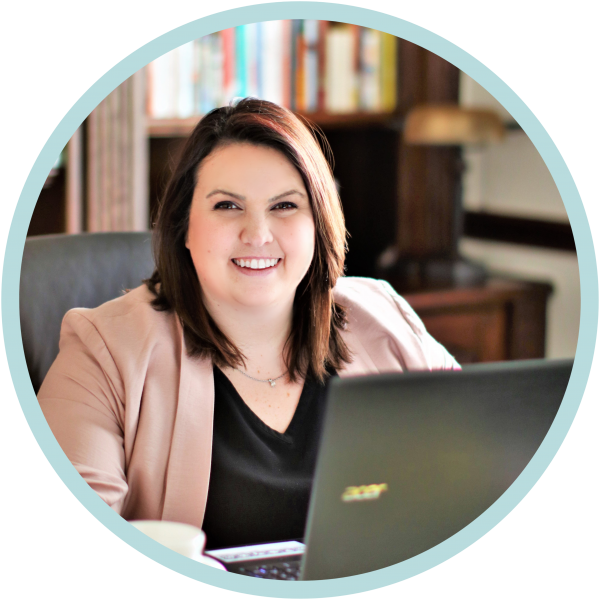 Nontraditional families are any family that falls outside of “the norm.” As we all know, “the norm” actually seems to be the exception these days. It is absolutely critical for children and teens in nontraditional families to feel represented by the media, and to know they are not alone. If you’ve ever felt underrepresented as you watch TV, I’m writing today to show you that there is probably a show you can relate to, after all. If your child feels like everyone “has it all together” except for them, I’m writing today to show them that pretty much everyone has a little baggage. Although TV is usually fiction, it always stems from the circumstances of the writers. They write from experience, albeit with a little imagination sprinkled in, and the shows they produce touch hearts around the world. 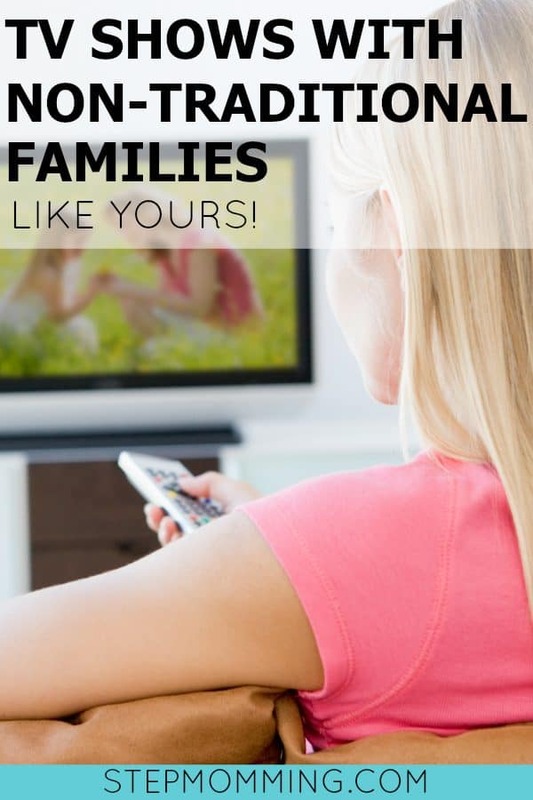 As my favor to you and yours, I am thrilled to present my list of the very best TV shows featuring nontraditional families like yours! Y’all, if you haven’t hopped on the This is Us train yet, you are seriously missing out. This is Us follows the Pearson family through a time-hop like no other. This big, beautiful blended family experiences the highs and lows of foster care, adoption, the teen years, young adulthood, financial stressors, unemployment, and death… just to name a few. Another show following a large family, Parenthood brought me to tears in almost every episode. Three generations of Bravermans face the most challenging moments of life, and assure you that you are not alone in your struggles. Gather around, #TeamBraverman! Tonight is the penultimate episode of #Parenthood. Where to even begin… This show, approaching its 15th season, includes the full gamut of nontraditional families, to include co-parenting, parallel parenting, stepparents, foster care, adoption, surprise siblings, and everything in between. In addition to the nontraditional family madness, the large cast portrays some of the finest medical surgeons in the world, based out of Seattle, Washington. Nashville follows musicians through the city of- you guessed it- who are navigating the trials and tribulations of the industry. If you love good country music, you will love this show. I think Nashville does one of the best jobs explaining a fresh blended family to the kids involved, and throughout the series, the audience truly sees how the children grew from their circumstances and persevered. #tbt to these two queens 👑 3 WEEKS until new eps of #NashvilleCMT. “Clear Eyes, Full Hearts, Can’t Lose.” This series follows a Texas high-school football team and truly depicts the small-town life that most modern TV shows ignore. There are many families that are out of the “ordinary” in this series but in the end, we are all Dillon Panthers. Friday Night Lights fully engulfs you into the community, and you feel like you’re watching your best friends live their life. Warning: this show is not for the easily offended. Grace & Frankie follows two families that become unexpectedly blended together, and the trials and tribulations that come along with the big surprise. This show also touches on adoption and infertility… but the real blended family kicker is revealed in the pilot episode. Another show not for those who are easily offended… The Ranch follows the Bennett family as they try to keep their small family farm afloat. Almost every episode leaves you with a huge cliffhanger (which with the beauty of Netflix, isn’t so bad until you hit a season finale). If you’re looking for a good laugh for 30 minutes straight, this is the show for you! This show highlights separation, foster care, adoption, and so much more. This is a real tug-at-the-heart-strings show which helps to educate it’s viewers on various topics of social injustice. If the Foster-Adams family does not inspire you to be a better person, I don’t know what will. Do not let the network it’s on fool you… The Fosters is the show for YOU. You can’t get into #GoodTrouble without a little help from moms. @SaumDays & Teri Polo will be guest starring on #TheFosters spin-off, @GoodTrouble. PS. Follow @GoodTrouble to see more shots of our favorite fam. Who can forget Fuller House?! This spin-off of the famous 90’s sitcom Full House– which includes almost the entire original cast- showcases the best type of large blended family, truly highlighting the idea that DNA does not make you family… love makes you family. Another spin-off of the 00’s television hit That’s So Raven, Raven’s Home follows original cast members Raven and Chelsea, who live together with their kids. Raven’s Home gets deep into the blended family dynamics and showcases having tough conversations in a light manner. Can you say SECRET BROTHERS?! But really, One Tree Hill follows a group of friends through high school and beyond in the amazing town of Wilmington, North Carolina. There is drama, co-parenting, unexpected pregnancy, death, destruction… the list goes on. One Tree Hill is a show that will undoubtedly remain a classic for a long time, and is a must-watch if you haven’t seen it yet. All of the shows listed above which have ended can be found on different streaming platforms, such as Netflix or Hulu. If you have ever felt alone, I highly suggest working your way down this list of shows. Once you’re done with them all, [you’ll be about 3 years older] you will realize that you may not be so alone, after all. P.S. Do you have another suggestion?! I would LOVE to hear it in the comments! P.S.S. TV ain’t your thing?! No worries, we’ve got you covered. Check out these Top-Rated Stepmom Novels! I really love Girlfriend’s Guide to Divorce (divorce, co-parenting, and single parenting) and Gilmore Girls (single parenting, co-parenting, a little bit of stepparenting). Those are my faves. Excited to explore some of these other series you recommended! I’ve been meaning to catch up on The Ranch! It’s on my to-do list if I ever get 30 minutes to myself! Thanks for the list.. really some great suggestions.